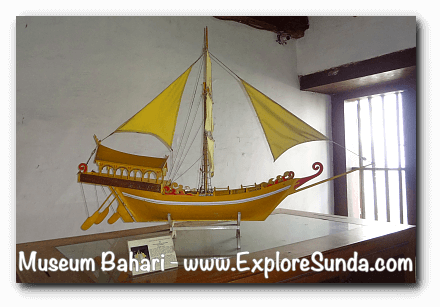 to the fascinating history of being the gate and watchtower of Batavia, the Queen of the East. 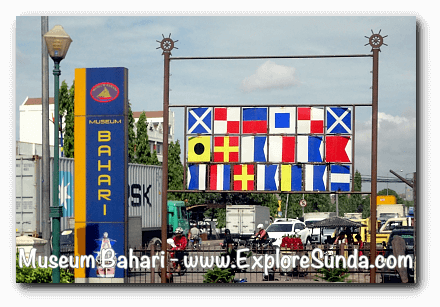 As an archipelago, Indonesia has forever been a maritime country, a good one at that. 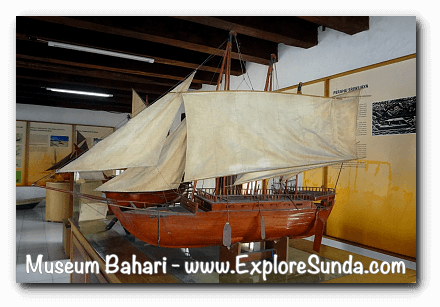 We can see lots of those evidences here in Museum Bahari. Presently, the museum occupies the old warehouse built in 16th century. It is literally facing the traditional market. The entrance is right on the side of the street, without any front yard, not even a pedestrian walk. The street is narrow and crowded with so many pedestrians and vehicles jumbled together. Surprisingly, once we step inside the door, it’s quite inside. The noise and heat outside can not penetrate, although the few windows there are open. Vessel from Majapahit era. It is a replica from the stone carving on a wall of Panataran Temple. 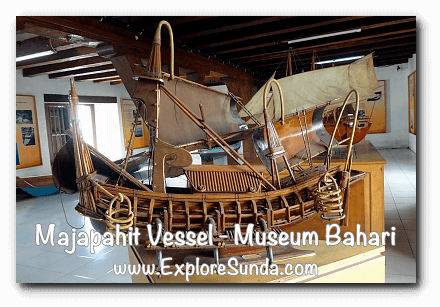 It shows the glory of Majapahit maritime around 13th to 15th century. 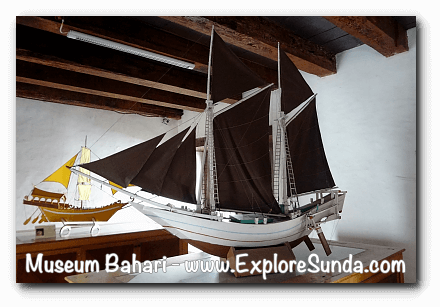 Phinisi Nusantara: a traditional sailboat from Tanaberu, Ujung Pandang, Sulawesi. This wooden boat looks like a coconut husk equipped with 7 sails comprises 3 jib sails, 2 main sails, and 2 top sails. The real dimensions of the ship are 37m in length, 8m in width, 12m in height of the ship mast, and 120ton in weight. 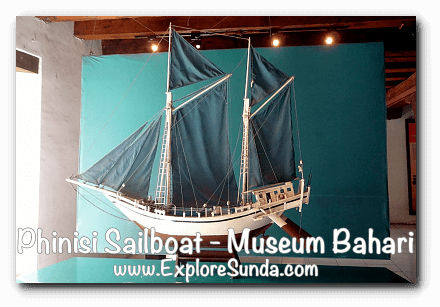 Not only miniature vessels, Maritime Museum also displays traditional boats in their real size. 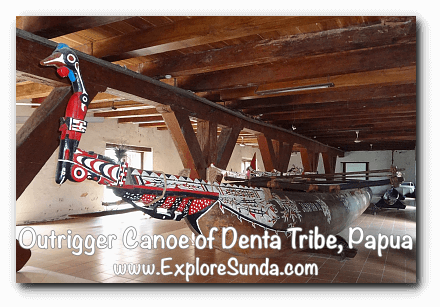 One of them is the outrigger canoe from Denta tribe, Papua. It is fully decorated with Papua’s unique art and on the front it is decorated with the wooden carving of cassowary head. 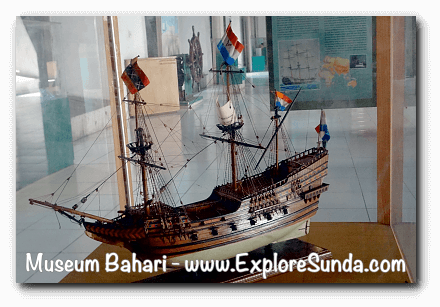 The address of Museum Bahari is Jalan Pasar Ikan no. 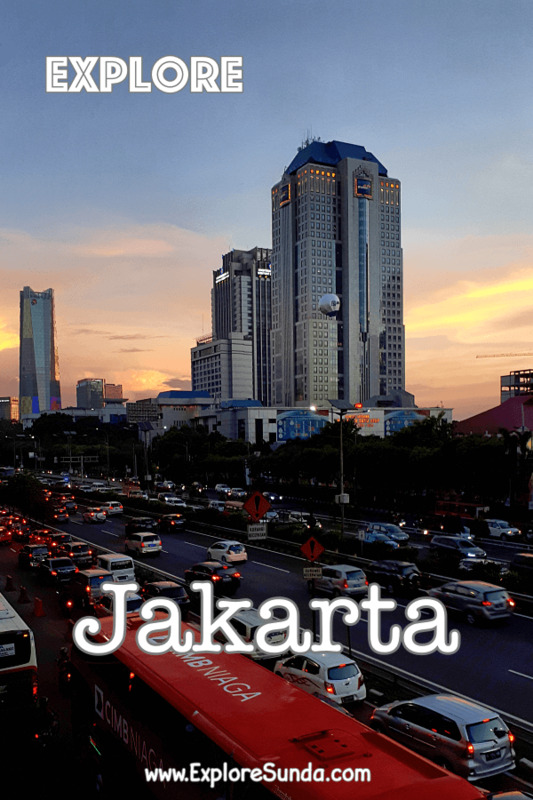 1, Jakarta Utara, close to Sunda Kelapa harbor. 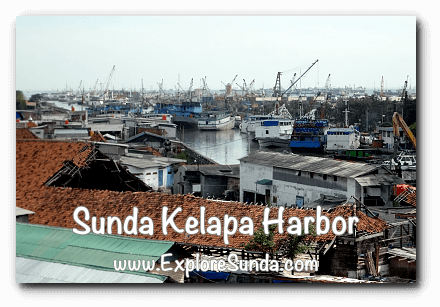 During its golden days, Sunda Kelapa harbor was one of the main harbors in South East Asia. VOC (Vereenigde Oost-Indische Compagnie = Dutch East India Trading Company) had most of its transactions done here. Its vessels and other countries vessels loaded and unloaded their cargoes in this port. No wonder, they developed the areas near the port. 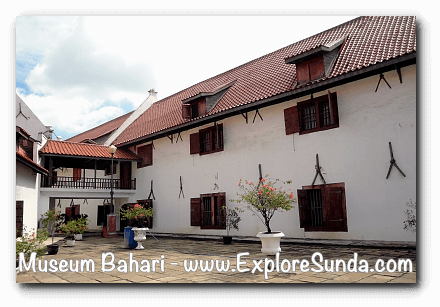 It is called Kasteel Batavia. Presently, the area called Pasar Ikan (Fish Market). As the trading grew tremendously, VOC needed some place to restore the commodities, such as spices (nutmeg, clovers, pepper), tin, copper, tea, coffee, and textile. Thus, they built a warehouse. It’s not mere a warehouse, but it’s a huge complex of warehouse, consisting of several buildings. They started to built this warehouse in 1652 and kept expanding it until 1759. 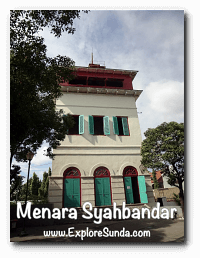 The warehouse complex is located on the bank of Ciliwung river, the one in the east side is called Oostzijdsche Pakhuizen (East Warehouse), while the one in the west is called Westzijdsche Pakhuizen (West Warehouse). Presently, we could only see the ruins of the East Warehouse. On the other hand, the West Warehouse was part of the Zeeburg Fort. Since it was functioned as a fort and a warehouse, the building was solidly built with lots of pillars made of large teakwood, few windows facing the outer side and without any terrace. While the Dutch used it as a spice warehouse, the Japanese used it as a military warehouse during the World War II. After Indonesia independence, it became a warehouse for Indonesia electricity company (PLN). Finally, it was restored in 1976 and declared as a heritage building. 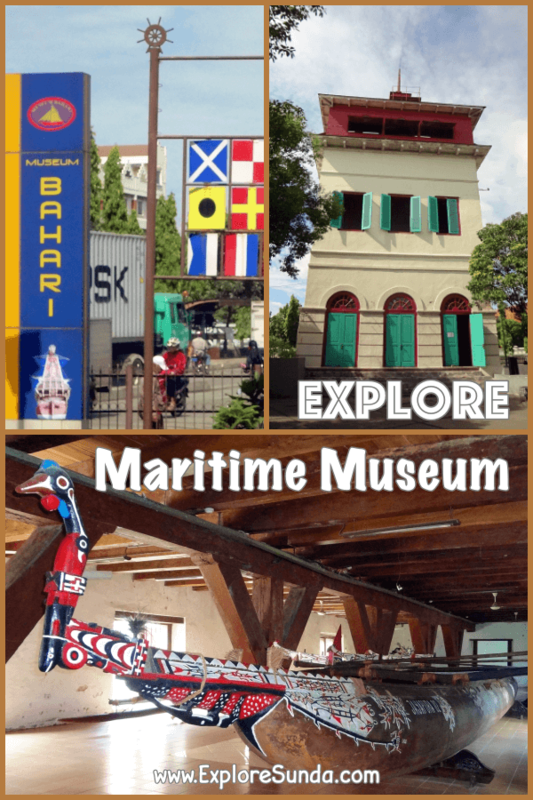 It became Maritime Museum since July 7, 1977. 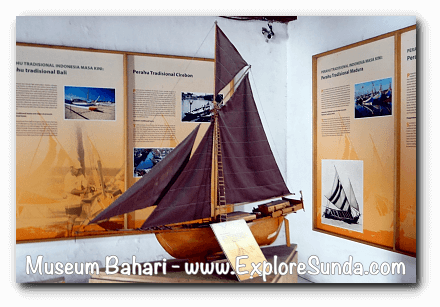 The visit to Museum Bahari is combined with Menara Syahbandar, the watchtower used by VOC to monitor the activities of Sunda Kelapa harbor. The first one was built during General Governor Antonio van Dimen’s reign in 1640. Then, it was rebuilt in 1839, under General Governor Daendels. This watchtower was the tallest building during that time. 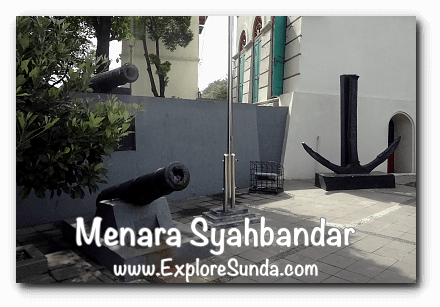 The top floor has windows on all of its four sides, where we can see the activities in Sunda Kelapa harbor, Pasar Ikan, Maritime museum, and Galangan VOC (VOC dockyard). As part of the fortress, this watchtower was equipped with several cannons. 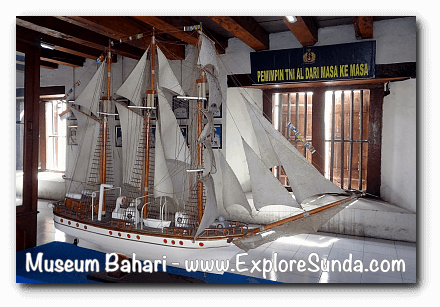 Museum Bahari is just one of the museums in the District Museum at Kota Tua Jakarta. 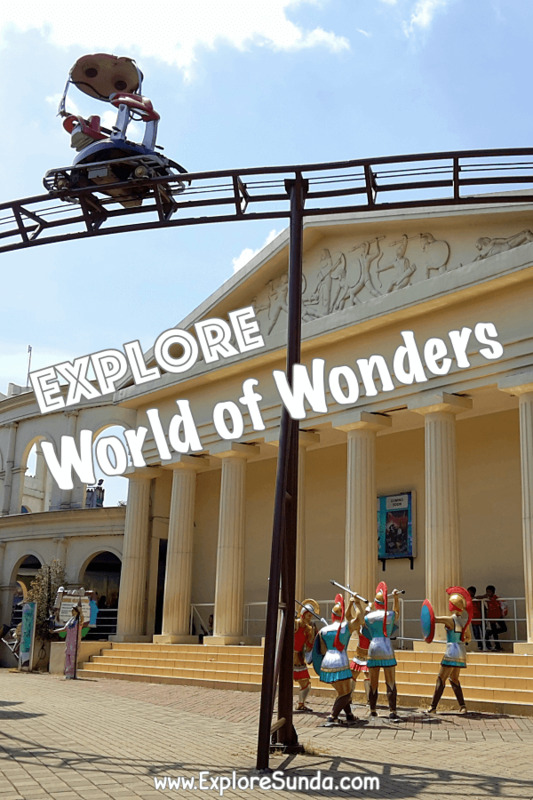 How about exploring other museums? 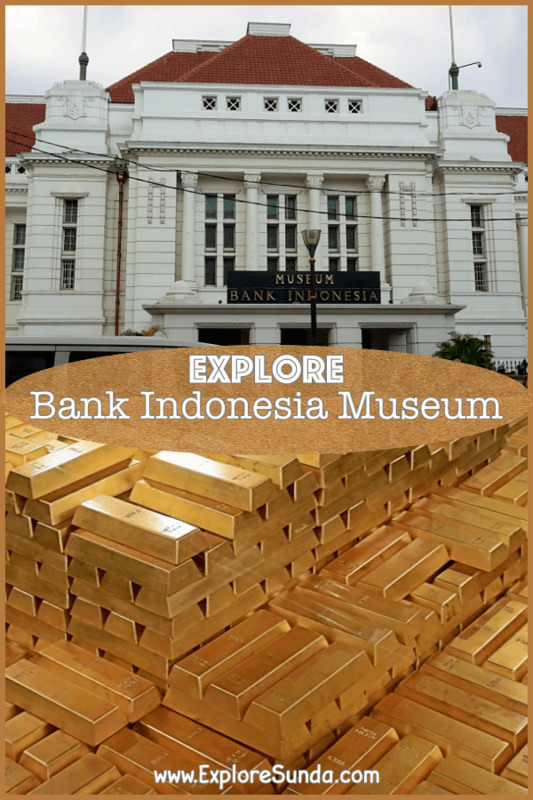 Not to mention, the area of Kota Tua Jakarta is a fascinating place to explore too..